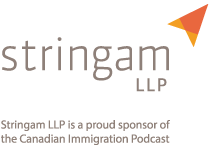 If you are a foreign national with a criminal conviction – listen to this Podcast BEFORE travelling to Canada! In this Podcast I had the pleasure of interviewing one of the most respected Business Immigration Lawyers in Canada, Barbara Jo Caruso of Corporate Immigration Law Firm based in Toronto, Ontario. BJ shared with me some tremendous insight on the inner workings of the Canadian POEs and some recent changes at the Primary Inspection Line that every foreign national needs to be aware of. 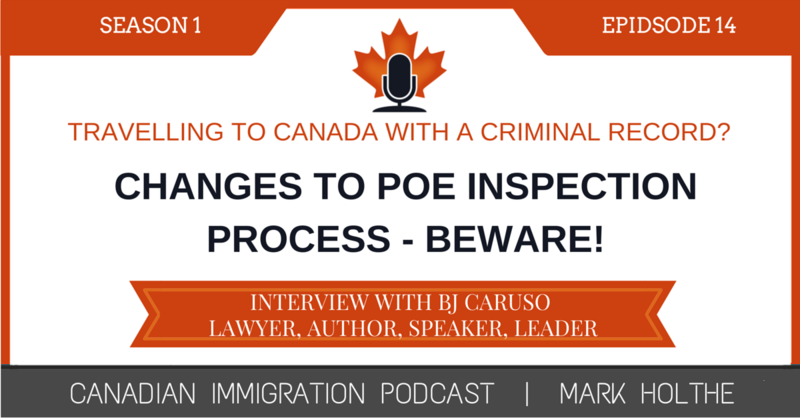 As a prior Customs Officer working at the Canadian POE, BJ walks us through the inspection process and shares some fantastic insight on what people can expect when they are going through the Primary Inspection Line. 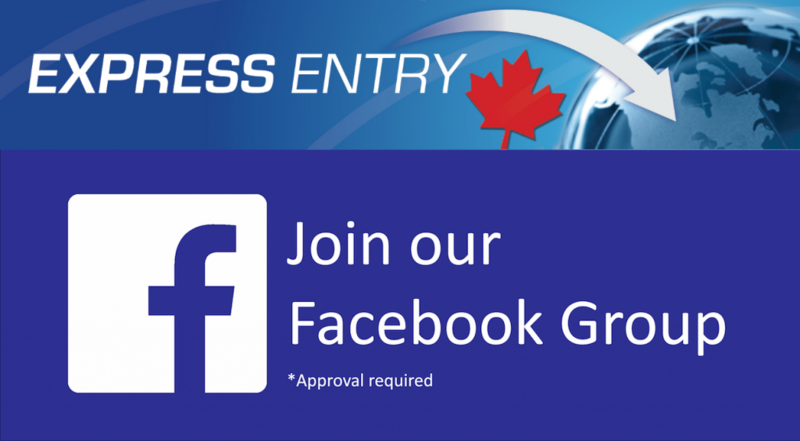 Our conversation focuses primarily on what is now happening to foreign nationals with prior criminal convictions or even a criminal charge that was resolved, who are seeking entry to Canada. If you fit into this category, this Podcast will give you tips and strategies on how to minimize your risk if travelling to Canada. Overview of Canadian Ports of Entry and how the inspection process really works! Insight into the make-up of the modern CBSA Officer. Primary Inspection Line Officers now have access to CPIC. How criminal inadmissibility to Canada is determined. Interview with Barbara Jo Caruso. Barbara Jo Caruso is a founding partner of Corporate Immigration Law Firm, located in the heart of the Financial District in Toronto, Ontario. BJ is a co-author of the Annotated Immigration & Refugee Protection Act, published by Carswell (“The Annotated IRPA”). The Annotated IRPA is a leading immigration textbook in Canada, and is used by Federal Court Judges, Canadian immigration officials at all levels including Canada Border Services Agency Officers, Immigration Officers, Appeal Board Members, Refugee Board members, lawyers and law students alike. I can attest to the fact the Annotated IRPA was definitely used by government officers. My first copy was given to me by the hearings officers in Calgary when I was working as a Pro Bono Student (Slave) while attending law school. BJ is Certified by the Law Society of Upper Canada as a Specialist in Immigration Law. She is one of the most respected business immigration lawyers in the country and a tireless advocate for her clients and our profession. She is currently serving as Treasurer on the Executive Committee of the Canadian Bar Association’s National Immigration Section and a mentor to many young aspiring immigration lawyers across the country…..me included. and that is to discuss some recent changes that have occurred at our Canadian ports of entry that are catching many foreign nationals off guard. BJ, can you take a minute to explain these recent changes at Canadian ports of entry and how they are impacting people seeking entry to Canada? 1800 cases flagged in the first month of operations where travellers were identified as having outstanding warrants against them. Can impact any FN who has ever been arrested, charged or convicted of a crime inside and outside Canada. So what happens if I am an individual with a DUI who is travelling to Canada for business and I really don’t have time to prepare a TRP or Rehab application? What can I expect to happen if I decide to travel anyways and test my luck? Let’s say I’m a Global Mobility Manager who needs to send a highly specialized employee to Canada on short notice, but fortunately the employee tells me prior to travel that she had a prior criminal conviction. What should they do? Given what we now know about the increased powers of inspection granted to CBSA officers at the front lines, If there was one piece of advice you could give an individual who needs to travel to Canada, but may be criminally inadmissible, what would it be? If there are individuals or companies out there with employees facing issues with criminal inadmissibility and they want to get in contact with you for further information and assistance, what is the best way to reach you? 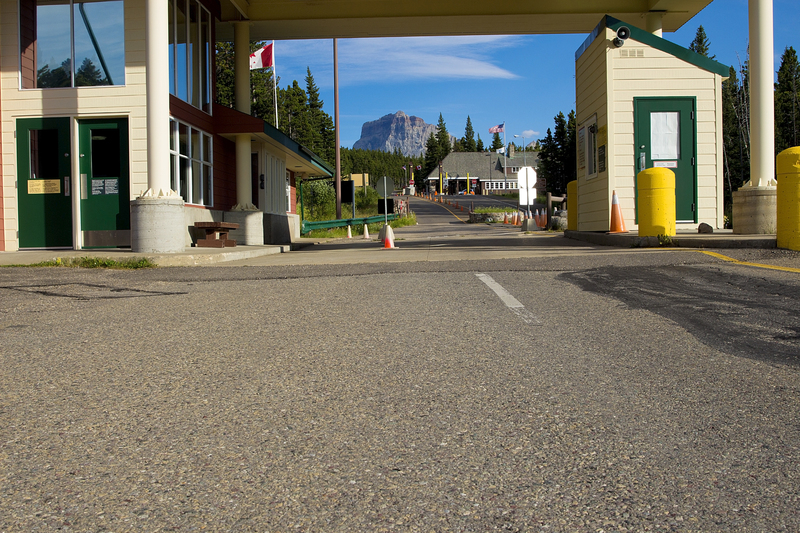 Alberta and British Columbia CBSA officials are least educated in immigration law. The traveler need to be patient with CBSA uncensored and nonsense questions. Please carry all relevant information in your case with you while traveling because CPIC database is obsolete. Victor, it seems like you may have had some negative interaction with the CBSA officers. Would you care to share your experience with the CIP community? I also welcome any other comments people may have dealing with the CBSA. Maybe we need to have an Episode dedicated to the best and worst experiences people have had navigating our unpredictable Canadian ports of entry. It all depends how educated CBSA officials and their knowledge in immigration law. British Columbia has the most racist, unethical and uneducated CBSA officials. I have seen no accountability, no integrity and no professionalism in their practice. The best experience I had with Toronto airport CBSA officials, very polite and professional but you have to be patient dealing with them and it takes several hours of waiting and interrogation. I am not sure that I agree with you. If you are dealing with criminal admissibility issues at the border, you need to understand just how complicated it is from the perspective of the Canadian officer. While their US counterparts only need to master the Canadian Criminal Code (one code for all provinces), the CBSA officers need to deal with the US’s quilt of different state, territorial, and federal criminal codes. Does a Wisconsin civil (first offender) DUI conviction equate with a Canadian drunk driving offense? Does New York’s certificate of rehabilitation equate with Canada’s record suspension? No, border agents aren’t immigration lawyers, but they do a pretty good job. As a US immigration lawyer and someone who has crossed from the Atlantic (Lubec Maine/Campobello Island New Brunwick) to the Pacific (Point Roberts Washington/Tsawwassen British Columbia), my opinion is that by and large CBSA officers are generally nicer than their US counterpart. That said, getting politely returned (versus rudely returned) to your home country doesn’t really change things. Carrying all your documents is certainly a good idea if you have had criminal exposure, but there are ways to have your border records updated to avoid many of these hassles by getting your issues notated in the CBSA system. If your underlying convictions were Canadian, you might also want to consider looking into a Record Suspension from the Parole Board of Canada. HOW YOU GET ISSUES NOTATED IN CBSA SYSTEM??? AS YOU SAID MORE TRAINING AND EDUCATION NEEDED IN CANADIAN CBSA. One of the challenge I noticed, if CBSA officer is Punjabi or Caucasian then they deal with travelers differently. Foreign nationals need to embrace Canadian culture and behave ethically no matter what position they have in CBSA. Specially Punjabi origin CBSA officials treat travelers way differently then Caucasian counterparts. Its all about ethics and how educated and trained CBSA officials now a days and its very questionable. Its all across departments, when workers collect salary from tax payer’s money there is no accountability and integrity because no incentives given whether you do your job good or bad. One good officer may be pulling all the weight of other incompetents. Obviously there are good agents and there are bad agents. I would also imagine that Punjabi speaking agents would be routed to international airports rather than a rural crossing into Manitoba. Again I am not a Canadian immigration attorney so my knowledge of their FOSS (Field Operation Support System) is limited, but when I get a US court order setting aside a criminal conviction, expunging a criminal record, or which would otherwise impact the status, I send them over to the Canadian border post, ask to speak to secondary inspections, and have them present certified copies of the document with my letter of explanation and simply ask them to update the FOSS records. This obviously works much better at a land port of entry than it does at an airport. In the US, we have something called “deferred inspection” normally located at our international airports and you can get your I-94s updated to address issues of this nature. (Complicated cases go to a special CBP office in Virginia). Canadian “Inland Processing” is similar, but I can’t tell you if they can make the adjustment or not. Lastly, if you are a Canadian citizen or permanent resident, I would advice you to buy a copy of your records under the Access to Information Act. If you are not, have an immigration attorney or consultant obtain them for you. See what is on the records. Thanks so much for the great insight. Much appreciated my friend. Always good info on your podcasts. BJ Curoso interview is a good example of sharing background perspective and other insights. . Thanks so much for your kind effort to keep food for thought circling within the industry. You are very welcome. The best thing you can do is to go to the Canadian Immigration Podcast Facebook page and take the time to provide a review. Also, please feel free to share the CIP with anyone and everyone. I have a great slate of guests lined up in the coming weeks. Check out the latest podcast on citizenship that I released today as well.